Cross posted at my blog HERE. 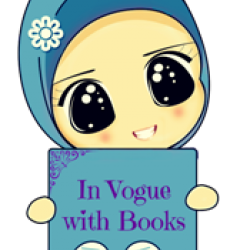 I must confess I had been terribly lazy in putting up some of the book reviews I had finished long ago. This one was among those. It's not because I liked or disliked them, for instance, this is a book with potentials. It's just the lack of finesse that made it a 3.5 star book for me. Helene Stoddart has seen the good times and the bad times, mostly bad time, in her life. Her family scandal had made her go all cold on the outside, an expressionless, feeling-less coldhearted women. She is someone you cannot like over a first meeting. But there is this deeply disguised, hidden who has passion for music, for a happy life no one seems to care for or find out unless Gabriel comes into the picture. Even Gabriel does not get to know about Helene's real identity on their first meeting in Venice and the passionate night that follows. When Helene flees back to her monotonous, taunting and haunting life, when she only has Gabriel's memory to resort to, Gabriel steps in, again. But of course, while Helene had seen him previously and recognizes him instantly, Gabriel is nothing except full of antagonism for this infamous girl belonging to the infamous Stoddart family. Things get interesting when Gabriel is seen assigning people to search for his mysterious lover from Venice. So the story has definitely not ended, yet. I loved the plot, the storyline, the characters. I loved how Gabriel is seen secretly searching for the girl, because a person of Gabriel's stature aren't supposed to care for some a one night stand, not when the girl flees before he could properly meet her. In addition, he is the only one, apart from Lorcan, who tries and succeds in breaking through her shell to have a look at the real Helene. I liked Helene but I liked Gabriel more because his unconditional, compromising, understanding attitude when it comes to his mystery lover at Venice. The Reason I gave it a 3.5? Well, for me , character is one very crucial thing that adds up to make a successful story, along with the plot. If the characters of a book is not well-sketched, my interest level tends to drop down no matter the plot. This happened here too. The book seemed so short! And the author hardly provided any details for the characters. I mean, I get to see Helene's family history, but that's because it is required for the further development of the plot. I would have loved to know more about Gabriel, apart from only knowing his aristocratic familial lineage. I would have liked to see Lorcan's point of view of things as well. I would have liked some solid backstory for all the main characters! It seemed the author started the story gracefully and then ended it abruptly. Even the ending left me with a feeling of incompleteness. This is where the book fails me to give a 4.5 or probably a full 5 stars. 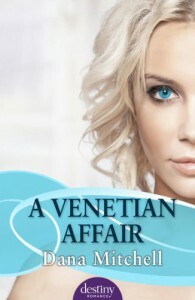 Though it has some shortcoming in terms of character background and development, and I feel this could have been a little bit longer, A Venetian Affair is a must read for those who like short, passionate, slightly different love story between a man of power and strong stance and a girl with a humiliating past and a disturbing present.